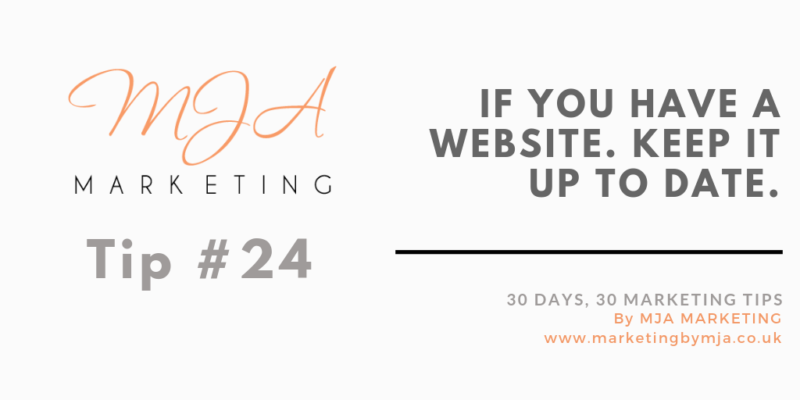 ← Marketing Tip 23: If you have a website. Create unique landing pages for specific topics. Marketing Tip 24: If you have a website. Keep it up to date. This entry was posted in 30 days, 30 marketing tips, Content marketing, Digital Marketing, SEO (Search Engine Optimisation). Bookmark the permalink.